Gigi has been working exclusively on her Taygete. Jasmin picked up the polo match cowl, out of the Punta Mericash. from the Cowl Girls book, and she is slowly working on her Garter Yoke Cardigan out of her handspun from Tour de Fleece 2011. Gigi is knitting her Daybreak out of Cascade Heritage 150 and a Conjoined Creations Flat Feet in Rainbow. Jasmin mentions Kristi's beautiful blanket with the mitered squares. We announce the Three Bites contest! Try something new, anything, and tell us about it! The contest closes Monday 6/27/2011. Gigi shares a three bites story about seafood. We take a question from the "What do you want to hear about?" thread about hair in knitting. We mention Alison Hyde (author of Wrapped in Comfort ) incorporating her husband's hair into a sweater for him, maybe. Gigi goofs up garter stitch on her Taygete, Jasmin has misplaced the second Unloved Andrew sock. Terrific Toe-Up Socks by Janet Rehfeldt. We don't care for it, and would recommend Socks from the Toe Up by Wendy Johnson or Toe-Up! by Chrissy Gardiner as a better value. Jasmin has finished spinning the singles for Andrew's 10 year sweater. She is now working on some Crown Mountain Superwash merino in "Cold As Ice" to recalibrate her mojo. Jasmin gets her white plastic storage bobbins at Purlescence and at Carolina Homespun. Jasmin mentions the Ba Ba Blacksheep podcast. 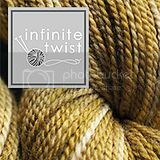 Jasmin is selling the extra weight from the fleece from Duchess (which she spun into her Seneca sweater) for $40/lb, plus shipping. Jasmin answers a question about how to keep colors in handpainted fiber from getting muddy and dull. Jasmin is working on the Unloved Andrew socks out of the Sanguine Gryphone Skinny Bugga. 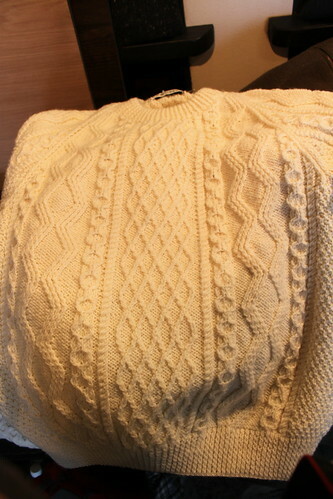 Jasmin has pulled her Garter Yoke Cardigan out of her UFO/PhD pile. Jasmin has also been working on her Aran Pocket Shawl. We make a family visit to Purlescence, and talk about attending the Maker Faire. We met Drew Emborsky, the Crochet Dude, and the nice folks from BurdaStyle. 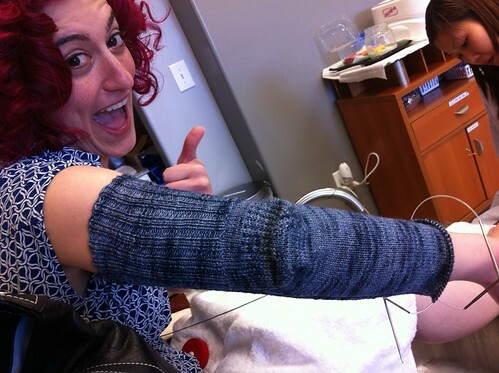 Jasmin asks if the listeners would be interested in a Sew-A-Long. We announce the Three Bites contest! Try something new, anything, and tell us about it! The contest closes Monday 6/27/2011. Jasmin tells a story about creme brûlée. We answer a question from our "What do you want to hear about?" thread regarding hot weather and socks. Gigi has been systematically attacked by all of her knitting. Gigi overthinks her Taygete, knits the foot of a pair of Hobbit Socks too long, her Katje pinches, and the buttonhole thread gets all ratsnesty. This week we review Knitting Plus by Lisa Shroyer. We both like it, mostly, but think it's purchased best with Big Girl Knits . Gigi has finished knitting the Elektra shawl. Greg has decided to frog the sleeves on his Changes in Latitude sweater. 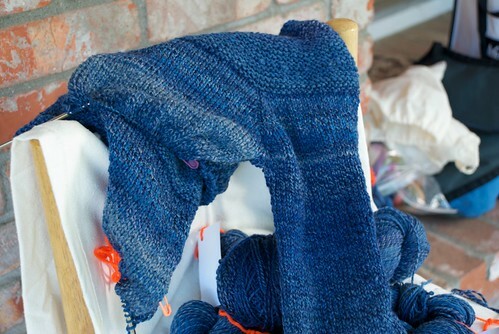 Jasmin is working on an old project, the Aran Pocket Shawl from Cheryl Oberle's Folk Shawls . Gigi is working on another pair of Hobbit Socks for Mr. Knitmore. - June 11th: WWKIP Day. Location TBD.- June 24-26: Black Sheep Gathering. We're staying at the Courtesy Inn in Eugene, OR. Gigi does an impression of the Very Hungry Caterpillar . She's working on a pair of Hobbit Socks for Mr. Knitmore, and isn't thrilled with the yarn. Jasmin is working on the Unloved Andrew socks, and wants to knit the Earl Grey socks for him next. Gigi's Elektra shawl issues have been resolved. 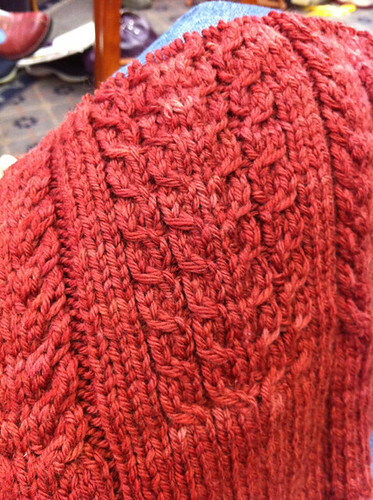 Jasmin has made some progress on her Cassidy cardigan. Gigi is working on her Cece cardigan. 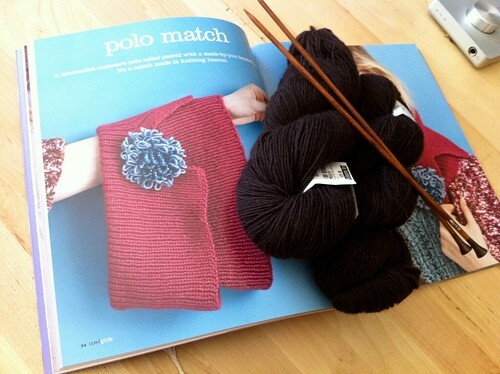 Jasmin is diving into her UFO box for inspiration, and wants to finish the cashmere wrap she started a while ago. Jasmin states that she has really gotten her money's worth out of her copy of Folk Shawls by Cheryl Oberle. Gigi has started on a Katje and a Petra. Jasmin mentions an art exhibition she attended, Pretty Little Masks, and WindSync. We announce the Mom'N'Me contest winners. Gigi shares a story about Mother's Day. You can see the Then and Now photos here. We answer a question from the "What do you want to hear about" thread: how to place buttons on an attached buttonband. Jasmin suggests doing an Elizabeth Zimmermann afterthought buttonhole. Or place the top button where you want it (try it on with the try on cord), measure the distance between the top button and the apex of your bust, figure out rows per inch, place buttons on a measuring tape that is the total length of the sweater. Gigi suggests folding a piece of paper instead of doing all of Jasmin's crazy math. Another idea: do the buttonband later. We review Little Crochet by Linda Permann. We suggest you give it a peek. Jasmin quickly realizes that she is 7 months to finish spinning and knitting Andrew's 10 year sweater.